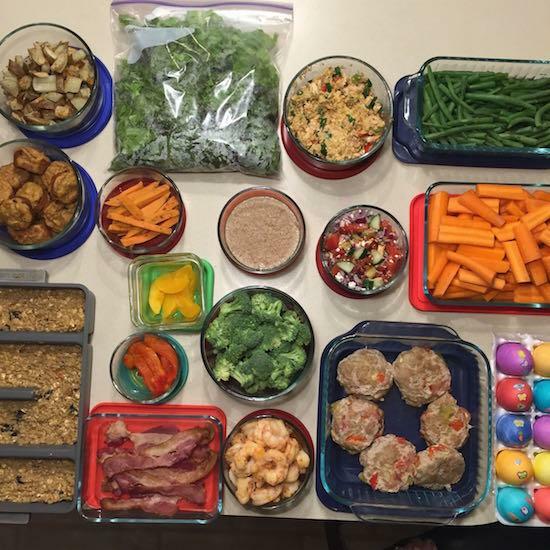 Time to share last week’s food prep! HB eggs – pretty for easter! Roasted red pepper strips – new last week and he loved them! Be sure to check out yesterday’s post: A Week of Spring Meal Ideas for some fresh inspiration! I roasted carrot spears and sweet potatoes, baked yogurt oatmeal muffins, and made cinnamon raisin sourdough bread.